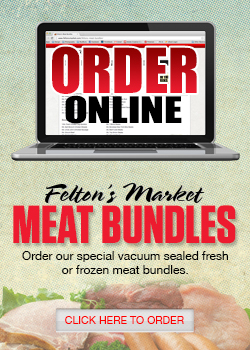 At Felton's we offer a complete line of fresh meat and produce. 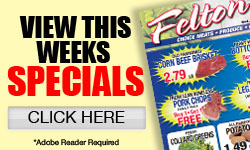 You'll find only the best quality meats at bargain prices. Whether it be that special occasion dinner, or you are planning a large party, call or stop by today. No matter what your needs, Felton's is sure to have the finest, most tender meat and tasty produce anywhere.